I was spoilt rotten this Christmas. 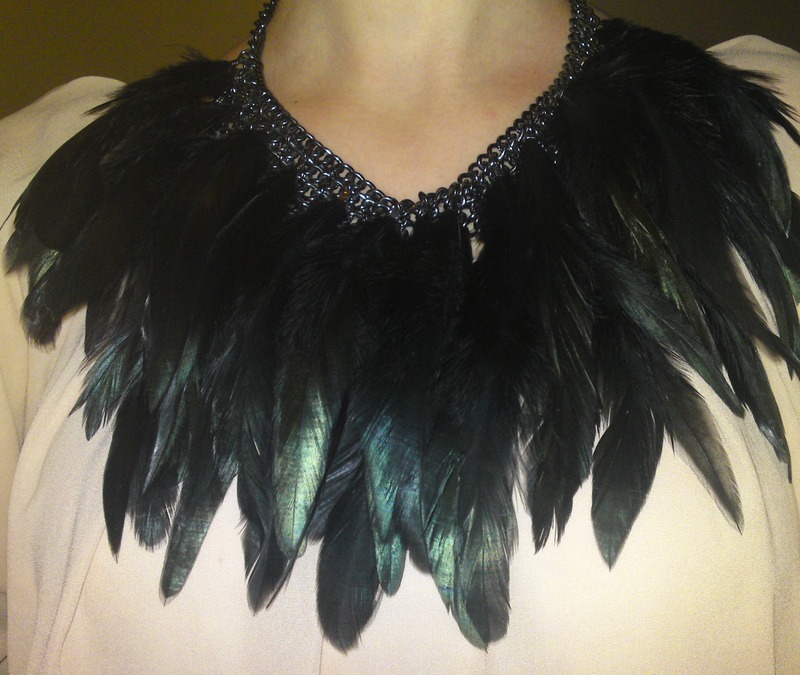 One of my many amazing presents I got was a large black feathered necklace. It’s quite heavy and there is a beautiful green running throughout the black feathers. It’s so unusual and one of a kind. I can’t wait to wear it, definitely pairing it with my leather trousers.